These earrings will make you pretty in pink! 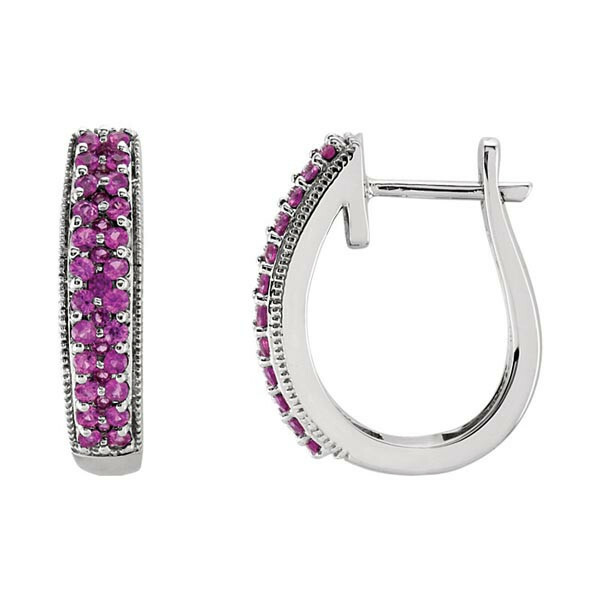 Crafted in 14kt white gold with pink sapphires, the hoops have a comfortable closure. Pick up a pair of chic, colorful hoop earrings for yourself -- or a friend -- today!